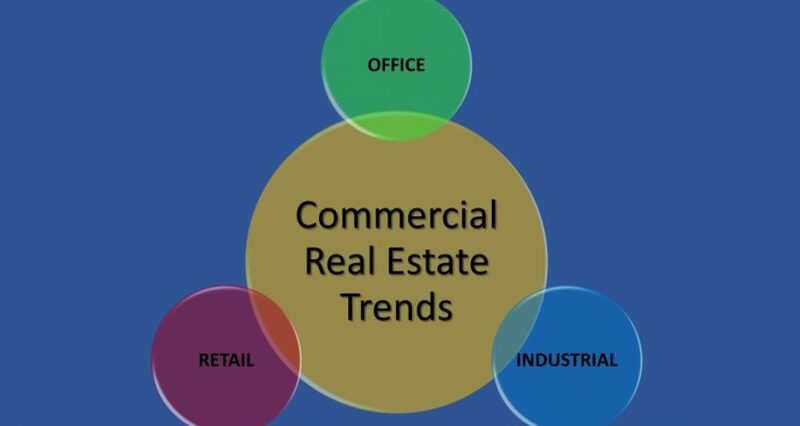 Current trends in commercial real estate differ depending on the particular market segment – be it office, retail or industrial. As shown in the statistics below, our local office sector has been the slowest to recover from the Great Recession and currently remains the softest of the three property types. This is due primarily to structural and cultural changes in the way we work. Technology has reduced the space required by way of electronic/cloud storage, smaller computing devices, and portability. Telecommuting and working from home are now culturally acceptable. Emphasis on collaboration and teamwork is facilitated by co-working spaces and open-office floorplans requiring significantly less space than in the past. Retail property trends can be defined with one word – Amazon. On-line retail sales are accelerating at an ever-increasing pace, affecting the ability of ‘brick and mortar’ stores to compete (think Sears). However, all is not lost for retail property owners, as internet sales will not limit the need of commercial space for food, fitness and fun. Larger malls and shopping centers will over time transition to more entertainment-based centers, while strip centers and freestanding retail properties will rely on greater percentages of medical services, financial/legal services, food/groceries, cafes/restaurants/bars, and health/beauty/fitness/personal services. Tourist-based and unique retail stores prevalent in destination locations such as our historic Downtowns should retain their appeal and viability. Our industrial market is today’s shining star. We have a tight local inventory of available industrial space with rents increasing at a higher rate than other sectors. We are beginning to see an influx of millennial families with children seeking a better quality of life than now afforded by large cities. They are bringing with them small businesses and cottage industries that fit nicely into industrial space, which also happens to be the least costly commercial space on the market. Industrial properties with high open ceilings are now in vogue, not just for manufacturing and warehousing, but also for various office uses desiring hip “loft” spaces. Each commercial property segment has its advantages and disadvantages, but these do change over time so it is always good keep up to date on industry trends before making large financial commitments.